Kyongju (sometimes spelled as Gyeongju) is one of the hidden gems of Asia and some of the oldest ruins are found there. 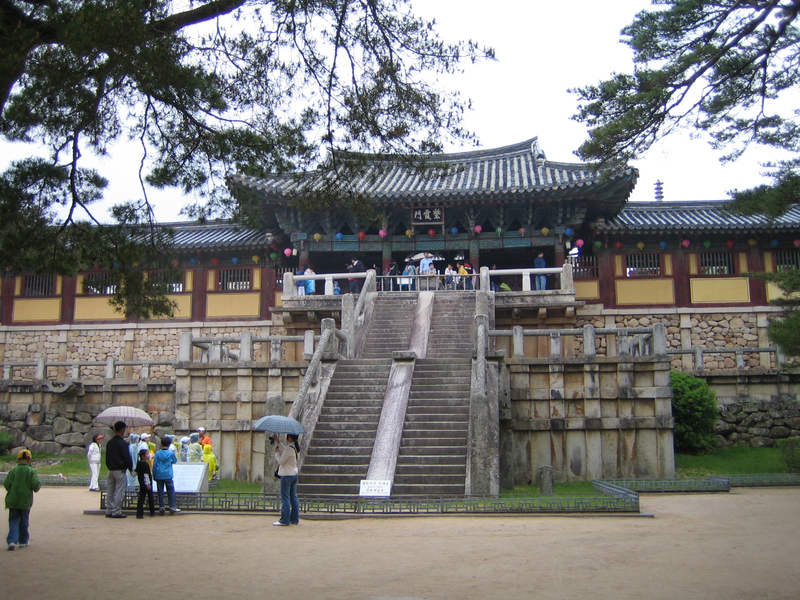 It’s located on the coast of the southern tip of Korea and dates back to the Silla Dynasty. Many poeple call it the “museum without walls” since everywhere you walk, you are coming upon some lovely temple, pagota, or palace. This city inspired me to write two books and I would love to go back and walk through it’s ancient streets. There is so much history and richness in its past. Seokguram grotto– From the temple, take a bus trip up the mountain. On a clear day you can see the ocean. 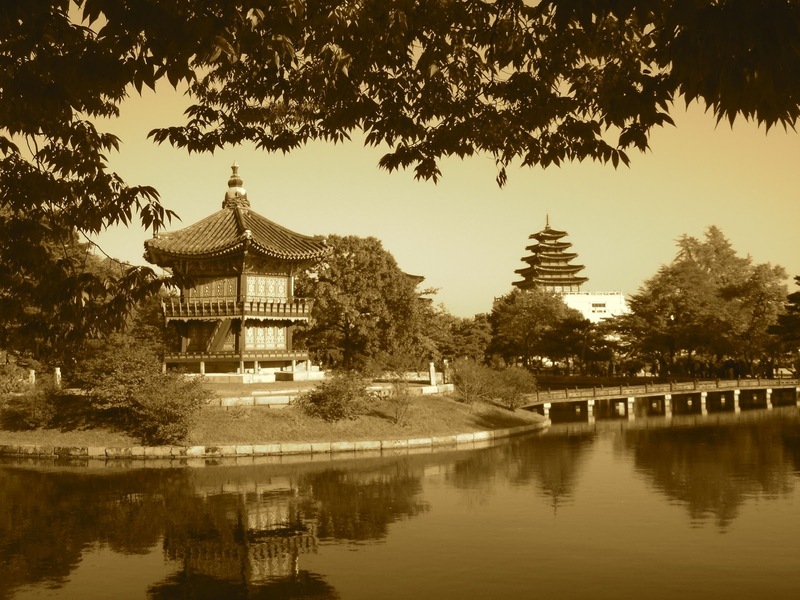 Bulguksa temple– This Buddhist temple was built in 548 and then redesigned in the 8th century. It’s really striking with it’s archetecture and design. Kyongju is also where the Hwarang warriors were trained during the Silla era. 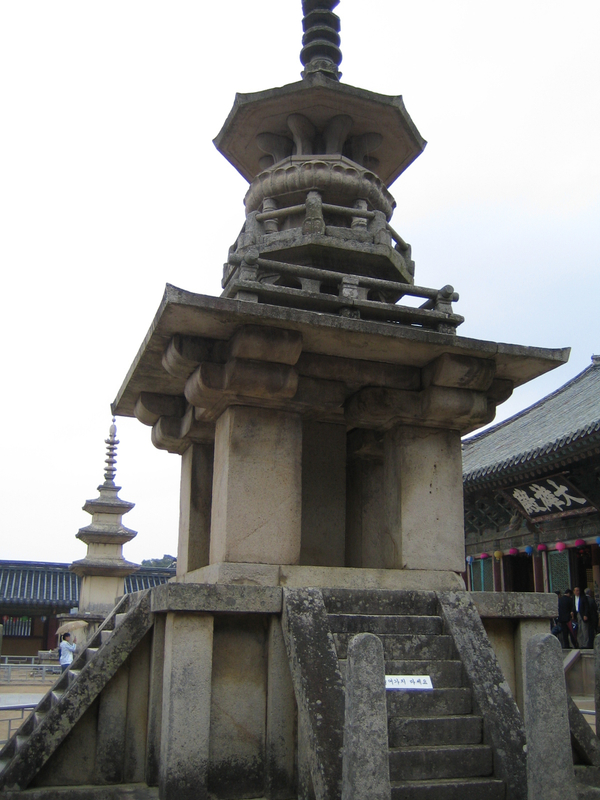 Cheomsongdae- an ancient observatory built during the reign of Queen Sondeok in 634. See picture below. Actually, there is sooo much to do but these are just a few highlights! Check out the Do-sol Ma-eul which has excellent Korean food. I love a good teahouse, so if you go, this is a great experience. They are also know for famous for hwangnam-ppang which is basically a bean paste in a bun. We stayed at the Hilton which was nice but a bit sterile. My husband stayed at a Buddhist monastary when he took a group of students as part of their tour of the area. Apparently they woke the whole group up at 5 am to do a long run through the mountains and then rigorous training. I don’t remember the name of this monastary, but I thought it was pretty cool! I’m talking to my friend in Korea on Skype, and what more of a coincidence could occur than this? 🙂 It sounds like a lovely holiday destination, definitely on my to-go list. I love to travel through photos. 🙂 Lovely post. Sophie- Work as a teacher overseas! That’s what I did! Another place I’d love to visit. Thanks for sharing these photos with us. Oh my, what a beautiful place! I’d love to stay at that monastery and go for a morning run–that sounds like such a wonderful experience! Nice photos. So you wrote two books set in Korea? fiction or non-fiction? Thanks. Meredith- yes, I was jealous. He said they were all so sore from it all for days. These monks are fighters too. Giora- Yes I did! They are both fiction, one is an historical fiction for middle grade students and the other is a paranormal based on mythology for young adults. My agent is busy selling them… grin.